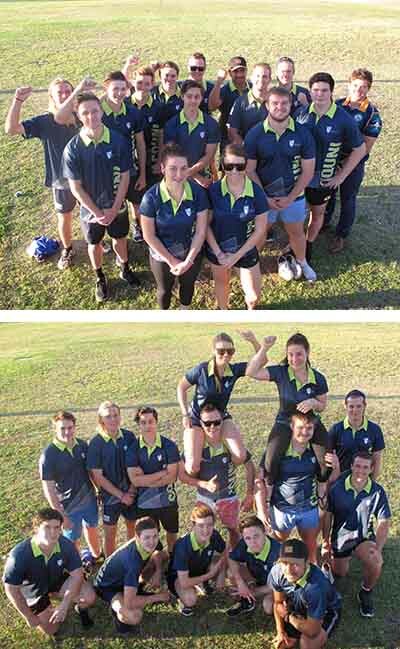 A total of 51 students are representing CQUniversity at the Australian University Games on the Gold Coast this week. The CQUni team, aptly named the 'Universals', will be co-captained by one of Australia's leading discus throwers, Taryn Gollshewsky, and men's touch player Jackson Hughes. CQUniversity will be represented in Athletics, Rugby Sevens, Men's Touch, Mixed Touch and (with a strong international student contingent) the T20 Cricket. The Rugby Sevens team is a strong contender thanks to participation by Queensland Country reps Lachlan Brown-Bates and Brandon Fourie. The Rugby 7 Sevens team have been provided with a full jersey kit out thanks to University Rugby Union President, Rupert Collins. All competitors have been proudly supported by the Student Representative Council and the team is managed by Jana Paris with assistance from Emma Henley. Good luck to all competitors! I know you'll do CQUniversity proud.